Upper School math teachers Mr. Julien Meyer and Mr. Andrew Otero are helping students see the practical application of complex mathematical concepts, bringing math from the realm of the abstract into the relatable, tangible world. When their Algebra II students ask “How does this apply to real life?” Mr. Meyer and Mr. Otero answer with hands-on projects that give our students an opportunity to express themselves and develop a lasting connection to the material. Why Curve Stitching for Algebra? Curve stitching is an art form using multiple straight line segments to represent a curve. Understanding how to create and manipulate linear functions is a core skill for our Upper School math students and is heavily emphasized on the SAT. 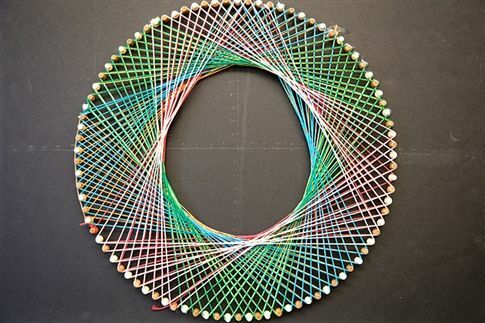 This project requires students to demonstrate mastery of linear function skills on multiple levels and shows one way that mathematics can be applied in a real-world setting. Mr. Meyer and Mr. Otero make it a priority for students to not only grasp the ideas they are learning in class, but to relate those ideas to their own lives. 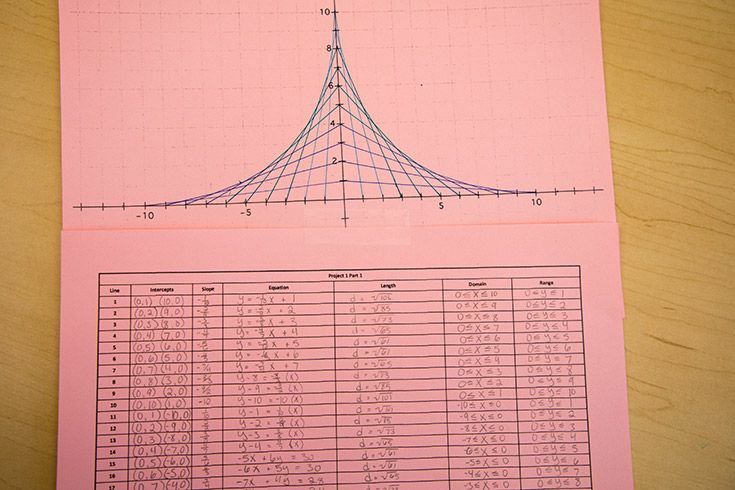 For the first part of the project, students complete a worksheet that introduces curve stitching. 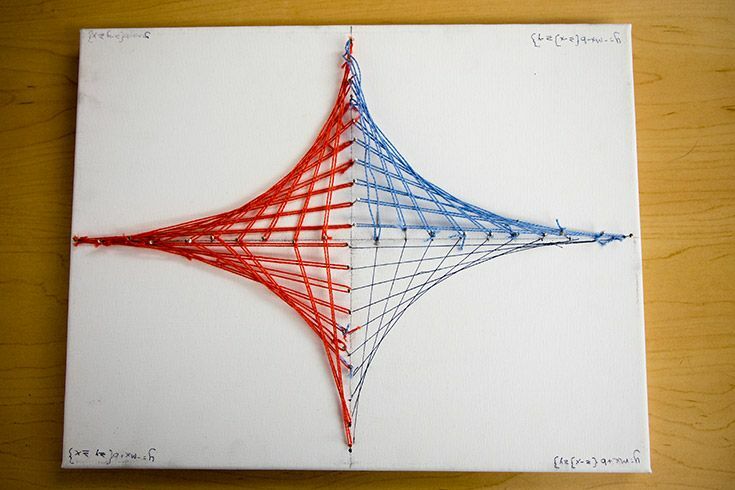 Using paper and pencil, they write down a set of equations based on three types of line segments and graph them. At this stage, everyone has the same set of equations to work with. If each student follows the directions carefully, they arrive at the same result. With this basic design, students begin to understand how to manipulate line segments on a graph. After students practice graphing given equations, they use the online graphing program Desmos to write and alter their own equations to move them around the graph. As they work, the program graphs their line segments in real time so they can see how changing an equation changes the resulting visual design. 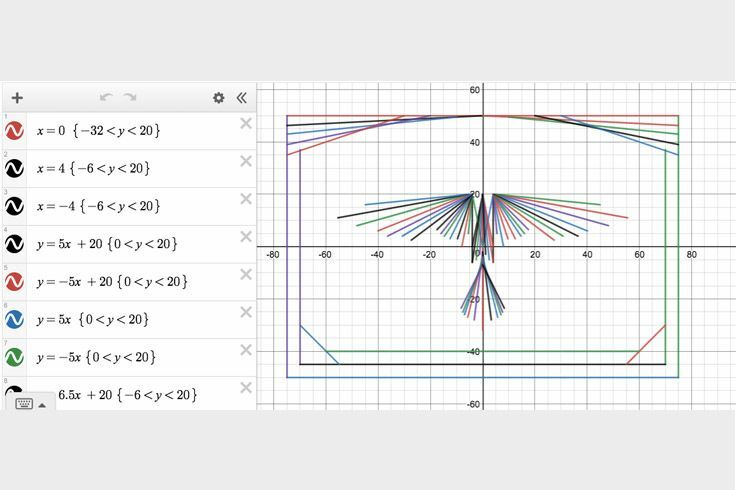 Using an online tool like Desmos allows students to quickly experiment with visual design and linear equations. 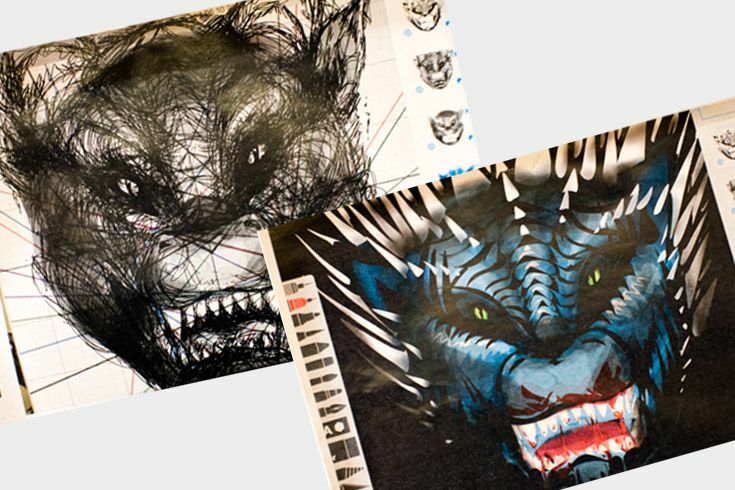 In this example, the student used linear functions to create the structure for an animated dragon figure. In this example, the student made use of 3D space with a design that extends several inches above the canvas. In the example on the left, the student projected the xy axis onto the board rather than physically draw it. 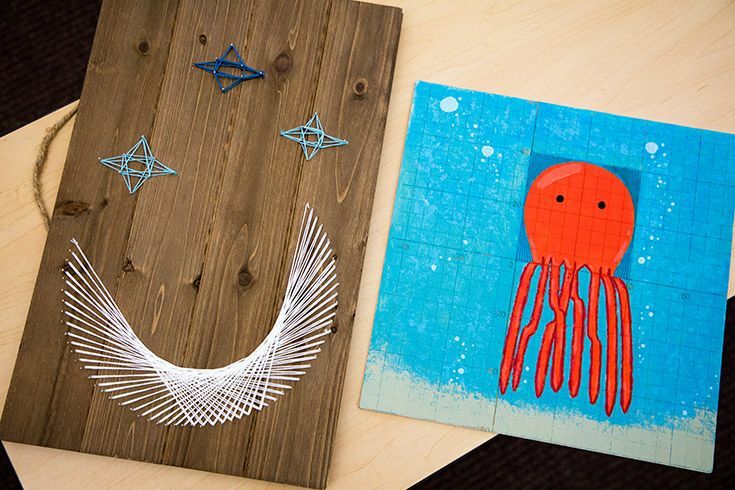 In the example on the right, the student used linear functions to create the negative space for the octopus’s head and also employed cubic functions to create the tentacles. From simple addition to complex equations, math is a language for describing the world around us. This multisensory project helps our students see the explicit connection between written equations and unique designs we can see and touch. As our Algebra II students move from one phase of the curve stitching project to the next, they can visually see their own progress and self-assess. They have to understand the concepts, use them to create something entirely new and explain their process along the way. This isn’t the type of understanding that can be achieved through rote repetition and memorization. This is the kind of learning that sticks.